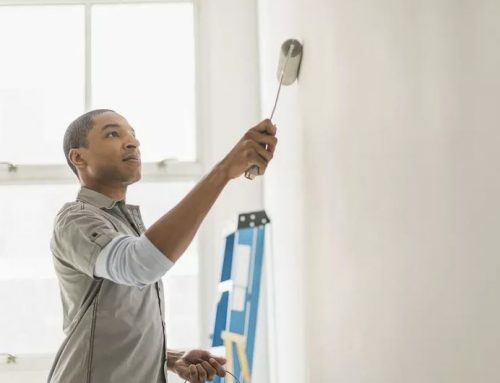 If you’ve ever watched a professional painter at work it is quite amazing that they can put gallons and gallons of paint on the wall without seeming to ever have any spills, errant roller marks, or wandering brush strokes. Of course, much of that is due to the fact that they have had years of daily practice working on painting projects’ because you don’t paint for a living doesn’t mean that you’re doomed to creating a project that looks like you turned a 7-year-old loose painting a room. 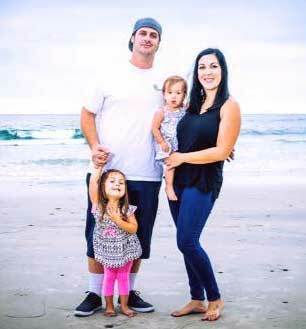 With a little bit of guidance and some good tools you can create a project that you’ll be proud to show off to family and friends. 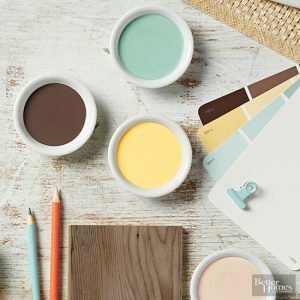 Your Stuff – I’m sure it goes without saying that the more stuff you can remove from your work area the easier it is to paint, and the less likely you will be tripping over furnishing that are in the way. There are some larger items, however, that are just too difficult to convey from room to room but you can temporarily relocate them to one side of the room, or to the middle of the room if you have the available space to still work around them. For the big pieces I find furniture sliders to be a saving grace for my back. If you can lift just one corner at a time to place a slider underneath it you’ll be on your way. The sliders are available with a hard-plastic bottom for use on carpet, and felt/fabric bottom for moving things on wood or tile floors. You’ll want to cover the remaining items in the room with some plastic drop cloths to protect them from spills and splatters. The super thin plastic seems to tear as soon as you even look at it, and the really heavy plastic is overkill. A fair compromise is the 1 mil variety. It’s strong enough to hold up but not too expensive. I’ve personally found it to be much simpler — and cheaper — to protect your floors from paint spills with drop cloths than to tear them out and replace them. But if you use the wrong kind of drop cloth you may have to do just that anyway. If you opt for the plastic type to protect your floors you’ll have to worry about it tearing under your feet, but the bigger concern is dripping paint on the plastic, stepping in it, and tracking it throughout your house. Plastic does not absorb spills. They can lay on the surface for hours before they dry and you can count on your shoes finding them. Paint spills on plastic can also create a slick surface and present a slip hazard. A better option than plastic is canvas drop cloths. Canvas is more expensive but it’s both absorbent and reusable. The problem with regular canvas drops is that larger spills can soak through the material and onto your floors. The best choice is kind of a combination of the two. Canvas drop clothes with a coated backing will give you the absorbent surface but will keep any larger spills from getting through. Canvas is available in a number of different sizes depending on how big of an area you need to cover. I also like to have a runner drop cloth (which is long and narrower in size as well as more maneuverable) to place along the wall that you’re painting. *Tip* Use wide masking tape (the standard high-adhesive kind) to adhere the edge of your drop cloth to the floor along your walls. It will keep it securely in-place as you’re moving your ladder and tools around. Many professional painters don’t use tape when cutting-in their lines. But if you’re inexperienced or don’t have the steadiest hand, you shouldn’t let that stop you from using it. If you’re going to use tape let me tell you there is a HUGE variance in quality from one to the next, and that absolutely makes a big difference to the user. As a general rule I believe it’s hard to go wrong with 3M brand products. They’re a little more expensive than the store brand or the generic brand but they perform as advertised. Their high-adhesive versions do a good job of sticking where you need them to, and their blue painters’ tapes are much better at giving you crisp lines without having to fuss too much with setting the edges with a putty knife. The tape you’ll want to use the most is the Stoch-blue painters’ tape. These are medium adhesion products as opposed to the high adhesion white tape. They are more expensive than the standard masking tape because they have less adhesion. (Yes, you heard that right. You are paying more money for less adhesive, but it’s worth it.) Because of that, they can be removed cleanly from surfaces for up-to 14 days without leaving a residue, and you won’t run the risk of damaging any painted or varnished surfaces that they’re applied to. 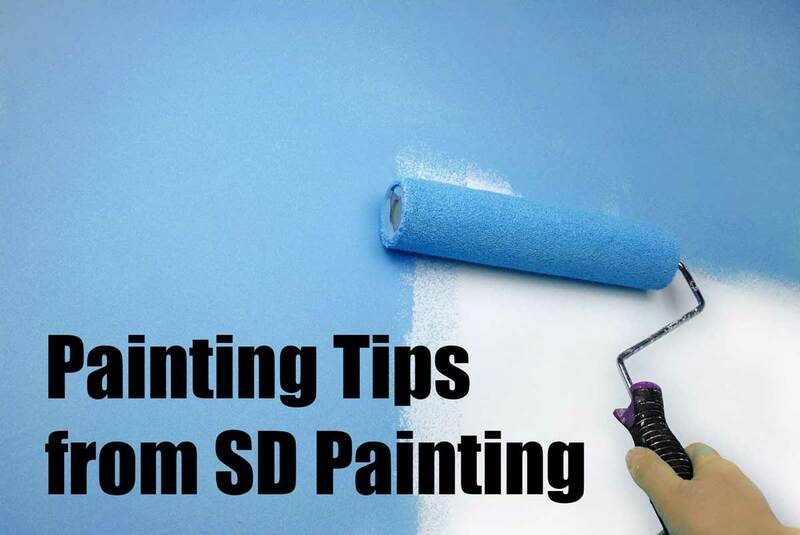 Another great painting tip has to do with to taping over delicate surfaces. When the paint is fresh you should opt for Scotch-blue Delicate Surface Tape. It has a very low adhesion so it won’t damage the surface. In addition, it can be cleanly removed up-to 60 days after application. I know that I was just touting the benefit of being able to leave these painters’ tapes stuck to the surface for several days! However, I’ve found it to be best-practice to remove them the same day you finish with your painting. So I don’t push your luck! I do like to take the sharp edge of my putty knife or a razor knife and gently score the paint line between the edge of my tape and the surface. That way that I don’t accidentally damage any of my hard work when I’m removing it. *Tip* I don’t claim to be the best painter in the world, but I don’t use tape very often when I’m cutting in. However, the one place that I always use painters’ tape is on my baseboards. I like to at least run a strip along the top of this particular trim molding where it meets the wall, and I know a lot of other very excellent painters do the same. The reason is that no matter how good you are, roller covers will cast-off paint. This spatter will leave your baseboards looking speckled. These will give the desired results and all you have to do is peel away some tape at the end. Forget having to go back and clean it off with a rag. Accidents will happen. But if you take a few precautions you can reduce the likelihood and the amount of mess you’ll have to clean up when it does. Choose Your Container Wisely. The container you use to paint out of can actually help to eliminate spills. If I never see another paint tray with the disposable liners again it will be too soon. These horribly cumbersome device is just an accident waiting to happen. They’re shallow which makes them much easier to step-in (which I’ve done). In addition you’ll be more prone to tipping when moving from one spot to another. A 5-gallon plastic bucket with a drop-in bucket grid is a much better choice. When choosing a cut bucket to brush out of, try one of the many new ergonomic designs. They help reduce hand fatigue and thereby reduce potential for droppage. No matter which container you use, it is always good practice to fill it to a low level. That way if it does spill you have less to clean up. Leave the Excess in The Bucket. One mistake I often see newbies make with a paint brush is dipping it so that the paint covers the entire length of the bristles. Instead try only dipping it 1/3 of the way up the bristles. You will lessen your chance of excess build-up causing drips. You will also thank yourself when you go to clean it. Same with your roller cover. The reason you have a bucket grid in your bucket is so you can use it. After you dip your roller in the paint run it along the grid. This will remove the excess and greatly reduce the amount of spatter and drips you have coming off of the cover. Is That A Damp Rag in Your Pocket? Having a damp, lint-free, cotton rag handy is the secret to a great looking paint job. Even the very best painters make mistakes. (i.e. bumping the ceiling with your brush or roller, dripping paint on the floor, running your cut line over onto the trim). But, if you clean them up as they happen you don’t have so many touch-ups to do at the end. And best of all you’ll have something to wipe your hands on instead of your pants or shirt! 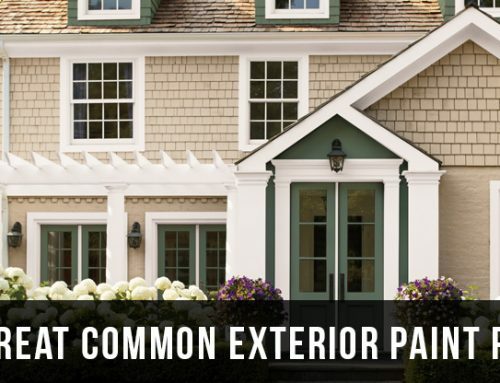 We at Local SD Painting use all these techniques and then some when painting your project, we strive to give you the cleanest and most professional paint job we can, lets us show you.